How did “Bees Make Honey” originate? It was born out of my brother’s wild imagination and his love for movies in general. He knows me very well, and knew I’d be well suited to the part. There are bits that are certainly inspired by films we’ve loved, but this is his creation. What was it like working with your brother considering that it was his feature debut, and you’re one of the producers? My focus was on giving exactly the performance that he desired to see on screen, and being there for him if he needed anything from a creative standpoint. And as a producer, I was trying to keep the film moving along as efficiently as possible. Your character in “Bees Make Honey” is fascinating because you play off of the inherently theatrical qualities of the narrative, and yet there’s still a sense of modernity. What was that like for you as an actress? It was exciting! My greatest joy in life comes from entertaining other people, and making them happy. My character grounds the narrative, especially when it gets stylistically crazy. I’m a big believer in truth, so it’s always about finding the truth in any given scene or moment that appeals to me as an actress. When did you first get interested in acting? Do you have any favorite films, or movies that have inspired you? I’m a huge fan of classic cinema, and both of my parents are actors, so it was incredible to have dinnertime conversations about the craft and business, as I was definitely interested early on. I love “Chinatown,” and Faye Dunaway is one of my favorite actresses. I could watch Marilyn Monroe or Carole Lombard any day of the week, and I remember David Lean’s “Summertime” with Katharine Hepburn making a big impression on me when I was younger. Considering that you’re one of the producers of “Bees Make Honey,” what was the biggest challenge? We made the film for a half a million pounds [around $664,000], and thanks to an extremely dedicated and passionate crew, we squeezed every dollar for all its worth. There was a lot of blood, sweat and tears on this production, and it was a true collaborative journey to get it made. And when you work with family, emotions are involved and run high, and you don’t want to disappoint anyone. There was a belief in each other that was required. My brother loved everyone on the crew, and nobody got paid their full quote. It’s a labor of love. Coming to Select Cinemas on November 3.Ascendant Releasing presents Niall Johnson’s thrilling Western adventure THE STOLEN – a heart-wrenching story set in New Zealand following a woman on a life-defining journey to rescue her kidnapped son. Set in 1860, Charlotte Lockton (Alice Eve: Star Trek In Darkness, Entourage) has settled in the South Island of New Zealand with her wealthy husband, David (Lucas Hinch: Nothing Personal) during the Gold Rush. Blissful beginnings are suddenly shaken as Charlotte’s world is turned upside down and her circumstances are drastically altered. Frustrated with the apathy of the authorities, she decides to take on a journey of discovery and strength to track him down alone.When her son is kidnapped she joins a convoy of ex-cons, prostitutes and Maori warriors heading for the rough mining community of Gold Town. There she meets Joshua McCullen (Jack Davenport: Kingsman: The Secret Service, Pirates of the Caribbean, The Wild Wedding), the owner of the town and a man who is pivotal to uncovering the truth behind the disappearance of her son. THE STOLEN also boasts an impressive supporting cast including Graham McTavish (Creed, The Hobbit, Outlander, Preacher), Cohen Holloway (What we do in the Shadows, Hunt for the Wilderpeople) and Stan Walker (Hunt for the Wilderpeople, The X Factor New Zealand, Australian Idol). THE STOLEN was directed by Niall Johnson (White Noise, Keeping Mum, The Big Swap) and written, produced and starring Emily Corcoran (Sisterhood, Confine). Discover this Western action adventure when THE STOLEN arrives in selected cinemas 3 November 2017. For fans of films such as The Missing and The Searches – this captivating, emotional story will take you on a journey of strength and discovery into unfamiliar and treacherous lands. The Stolen Trailer from Emily Corcoran on Vimeo. A cowboy, a mermaid and a bee walk into a lavish mansion. If you’re already sitting up and paying attention, Bees Make Honey is for you. A 1930s murder mystery, it’s a movie that leans into the dated feel of an old joke with such enthusiasm and energy that it’s impossible not to enjoy it and get swept along by its wit. Alice Eve is on knockout form as Honey, a widow who hires an investigator (Inspector Shoerope – Wilf Scolding) to help her solve the death of her husband. From the off, she seizes the leading lady role with relish, a femme fatale playing the part of a femme fatale with a knowing dash of sass, smarts and shade. Her case? Get Shoerope to join her Halloween costume party, where everyone there is effectively reenacting the same shindig from last year, where her beloved kicked the bucket. Costumes give way to extreme secrets, hidden plans and unspoken identities, while the production design captures the period vibe with panache, reinforcing the hint of artifice among the authenticity. Director Jack Eve zips across the stylish surface with dazzling visual flourishes, swapping about aspect ratios, slinging out split-screens and zooming into freeze-frames as he goes. Part of the fun is seeing the announcement of a new filmmaking talent with such confidence – somewhere between Sofia Coppola and Baz Luhrmann, Eve feels like a unique voice racing to express every idea he can. (Adam Gough, whose CV ranges from In Bruges to X-Men: First Class, is an excellent editor, while Richard Stoddard’s cinematography and Ryan Beveridge’s score ooze a knowing class.) But the rest of the fun lies in watching the cast have so much fun with their roles, from The Halcyon’s Hermione Corfield as Honey’s amusing, glamorous friend to a scene-stealing Joshua McGuire, who, after a superb turn on stage in Rosencrantz and Guildenstern, is on wise-cracking, slapstick form. The plot doesn’t amount to as much as you might wish, but the script (also by Eve) never fails to entertain, blending the absurd with the familiar genre tropes, while chucking in swear words to keep things feeling unpredictably modern. By the time Trevor Eve turns up dressed as Captain Hook, you’ll be grinning from ear to ear. 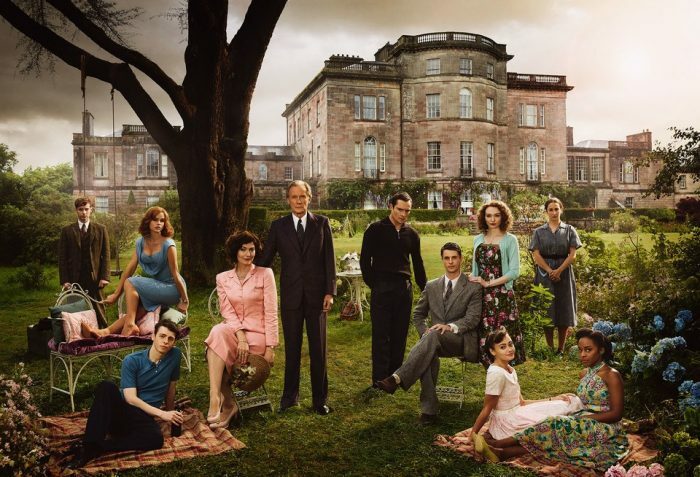 Produced by Alice and Jack, this is a family affair – and, when it comes to old-school murder mysteries, Agatha Christie fans wouldn’t have it any other way. Somebody snap this up for UK distribution.